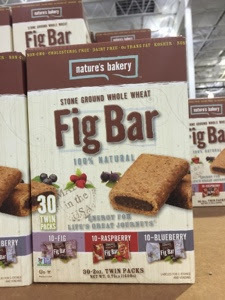 I received a request to review Fig Bars, a new product at Costco. 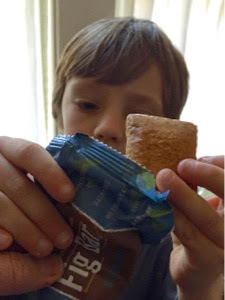 Bob and I are not great fig bar fans, we want more protein in our snacks, but Henry, age 5, liked these and asked for more. The cookies are similar to Fig Newtons, although not as sweet, which to me is a good thing. I believe the Fig Bar cookies are larger than Fig Newtons; the Fig Bars come in three flavors: strawberry, blueberry and fig. 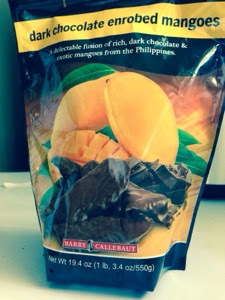 "It would be fine as part of a healthy diet, low fat and low protein. 15 grams of carbohydrates are considered one serving so this is over that...."
The more people tell me they read this website, the more intimidated I feel when I write. I'm not sure why I thought I was writing if I didn't expect it to be read? The answer is, I started to figure out if I could. Way back then, 18 months ago, I didn't know anything about setting up a website, had never heard of Blogger and didn't have a clue about HTML. Now, I have a clue about how much I don't know. 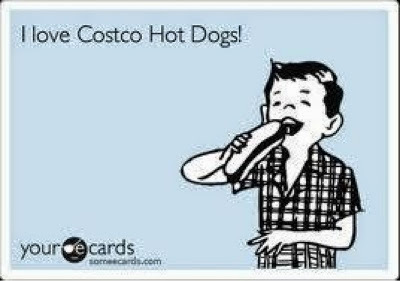 But I still love Costco. 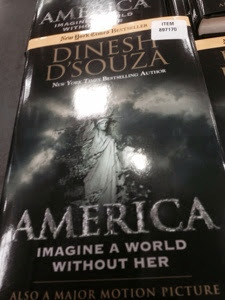 In case you're looking for it, West Nashville Costco has the Dsousa book America: Imagine a World Without Her for $15.27. 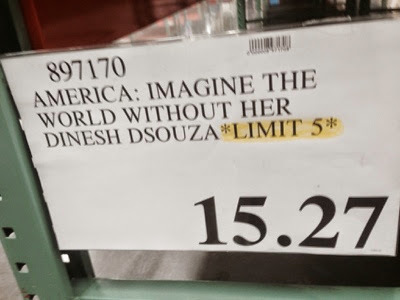 Limit 5. If you need more, you can have my 5. The Chinese Moon Festival will be celebrated September 6-8, 2014. 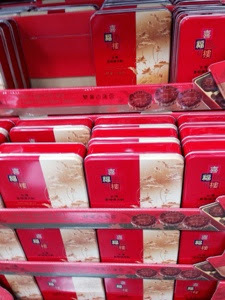 I've posted before about the Moon Festival and the traditional moon cakes available from Costco at this time of year. Moon Cakes are traditionally given to friends and family on the occasion of the Harvest Moon Festival, one of the four most important holidays in China. 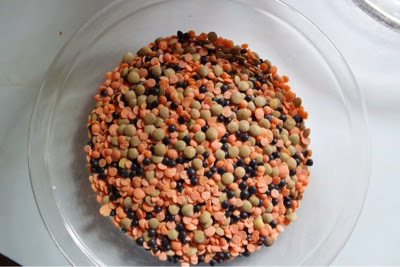 The cakes are complicated to manufacture, so are most often bakery produced. Auspicious words in Chinese are formed into the tops, and, inside, bean or seed paste and salted hard egg yolks mimic the harvest moon. The Joy Luck Palace Moon Cakes at Costco are in a metal tin that contains four cakes, each of which has double salted egg yolks and lotus seed paste. 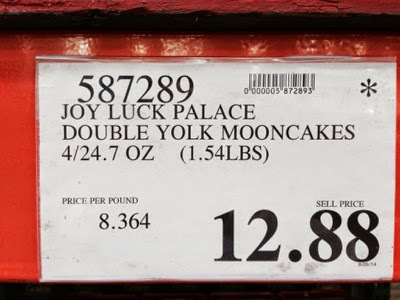 At $12.88 for the tin, these moon cakes are an inexpensive, unique taste and unusual cultural experience. Give them as good luck presents to friends. 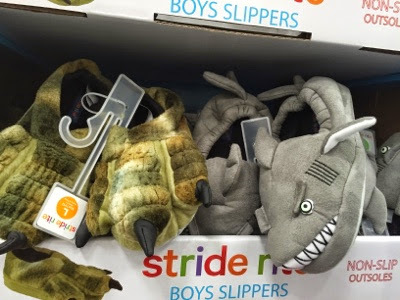 Seems like they would be a great thing to share with an elementary school class. Once again, here is the famous poem about the Chinese Moon Festival from poet Su Shi, (1039-1112). Freezing to death among those icy heights! Better off, after all, in the world of men. She shines on the sleepless. Why, then, is she always full when dear ones are parted? Always some flaw and so it has been since of old. And a share in this loveliness far, far away! Spanish Language is the other class I wanted to take this fall at Nashville State. 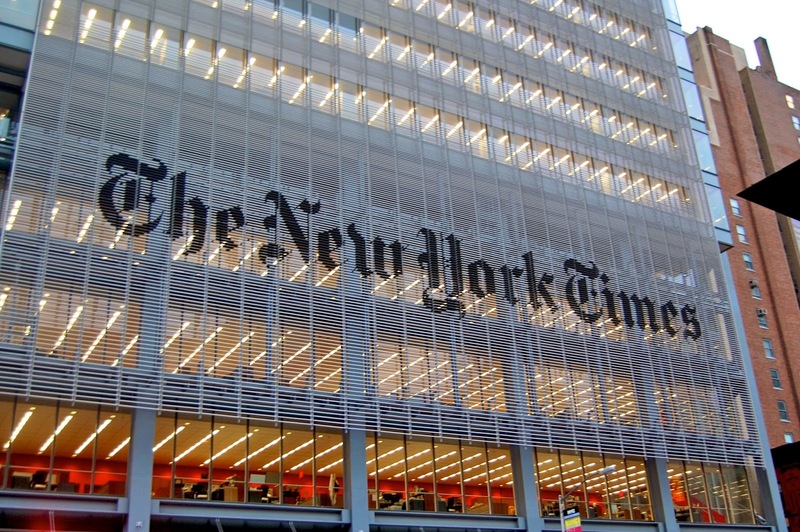 Perhaps you saw the story in the New York Times by the man who took French to improve his brain function. He didn't learn any French but measurement of his brain functions improved dramatically. 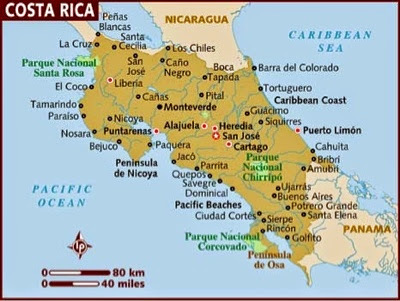 I mostly wanted to take Spanish because I'm GOING TO COSTA RICA in January. But even if I didn't learn any Spanish, if my brain functions improved, that would have been good for me. Turns out, I probably won't be able to take Spanish because I don't have the required certification of competency in English. Bureaucracy wins once again. I'm excited and nervous, getting ready to register for my fall classes at Nashville State. 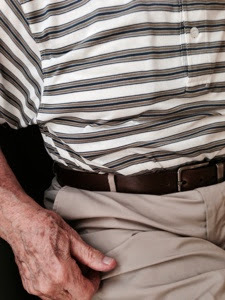 Seniors here in Nashville can audit classes at the technical institutes for free. This summer, I took Photoshop, which was much more difficult than I had imagined. Last spring, I took Introduction to Photography, and, last fall, HTML, and History of Photography. 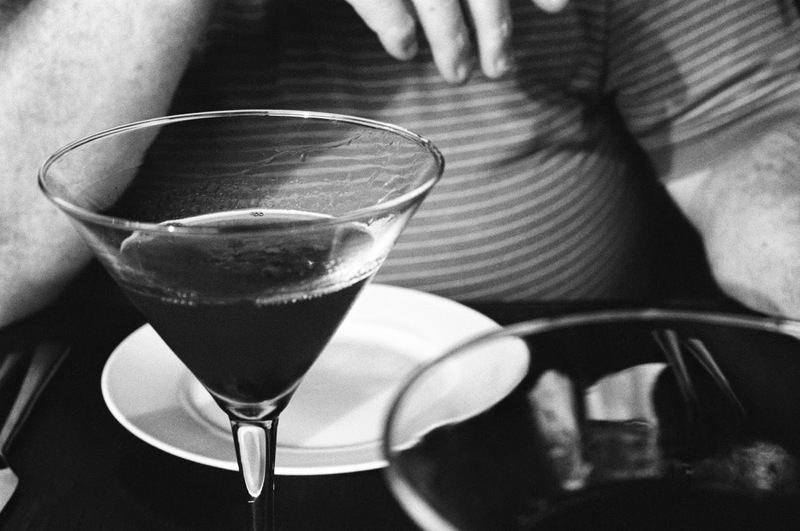 Upcoming fall term, I'm hoping to audit Black and White Photography, which requires a black and white film camera. Luckily, my son held on to the one we purchased for him 15 years ago for a college photography class. The camera wasn't new back then and has manual rewind and manual advance. As my son was showing me how it worked, he explained the entire content of my photography class in 15 minutes. At Nashville State I had learned about shutter speed, aperture and iso, so I could keep nodding as my son explained: "And the shutter speed, that's...."
He must think his mom is a pretty quick study. Even though I grew up with manual cameras, I found myself trying to snap photos without doing the manual rewind after every shot. So unused to thinking about film. When I took the film camera to have the sensor cleaned: "Ma'am," the technician said, "this is a FILM camera...."
"Well, film cameras don't have sensors...they have film." Considering my beginner status, I'm amazed and happy with the first shots. 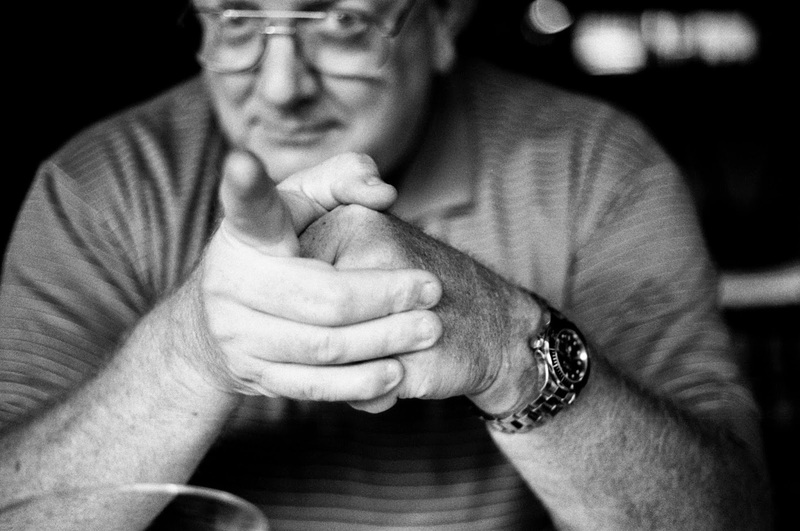 These are from the 404 Kitchen, a local restaurant where we had an excellent meal, and a hilarious time, (sometimes, but not always, mutually exclusive). 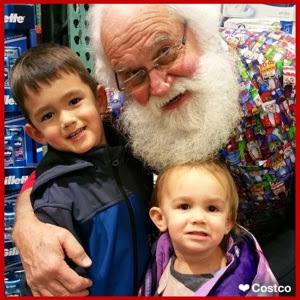 I just had a great visit with my daughter and granddaughter in Washington, DC, where we visited the Air and Space Museum and the Museum of the American Indian, but also visited the Baltimore Costco. 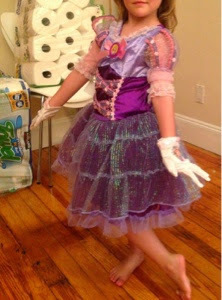 Halloween costumes are in, and, while we didn't see the Frozen characters, we did find this Rapunzel outfit, which made my granddaughter almost as happy. Notice the tiara and gloves. I don't remember a pirate princess in previous years. I thought the mermaid, Ariel (?) costume was especially cute. Costumes are in three sizes, largest is 4-6. I paid about $15. In previous years these sold out quickly, so, to get a choice of all sizes and characters, go now. Here at the house, we have had inferior toast production for a year and a half. When my dad moved to Nashville, I lent him my toaster and, to compensate, I pulled out the little toaster oven, which used to make OK toast about 25 years ago, but in 2014, the toast function didn't work. I discovered that, if, instead of the toast function, I used the oven function, the bread got brown and dried out, sort of like toast. Of course, with no automatic shut off, I had to continually check the little oven to make sure the toast wasn't burning. I learned that different types of bread take different amounts of cooking time, but I never was able to set a timer accurately enough to conquer toast. More than one piece had to be tossed out because of burnt edges or completely charcoal-ed exterior. I kept checking Costco for a white toaster. All the toasters have been stainless steel, and my appliances are white. I guess almost everyone wants stainless steel now, but, finally, Costco had a white toaster on deep discount. 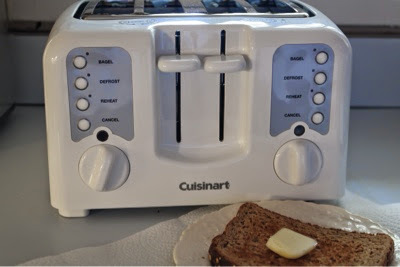 Here is my new 4-slice Cuisinart toaster, which can make regular toast in all shades, or toast only on one side. I can still remember my x-father-in-law getting angry with me because I made toasted cheese by toasting the bread first instead of browning on one side, the correct way. One-sided toasting is also preferred for bagels. I had four slices of toast yesterday. I'm going to have to cut back. Frist Cafe: At the wonderful, art deco, Frist Museum the food is good, and the restored old building is marvelous. The museum is worth a trip just to see the building even if no exhibit catches your fancy. If you're traveling with grandchildren, the hands-on art room upstairs is a very fun place to visit. Pineapple Room at Cheekwood: Harder to recommend because if you're not a Cheekwood member, you have to pay to get into Cheekwood, a significant extra expense. The food is ladies-who-lunch fare, salads, light sandwiches, but fresh and well prepared. If you've never seen Cheekwood, the house that Maxwell House Coffee built, you need to visit. This beautiful 1930's mansion is now an art museum and the grounds are a botanical garden. Etch: This restaurant has some of the best food of the group, the food is truly wonderful, and also has valet parking, which is great because Etch is located downtown right across from the symphony hall. Let the valet park your car, and, after lunch, go explore Lower Broadway. Be sure to see the symphony hall, but also cross over the pedestrian bridge for a Nashville photo opportunity. Capitol Grill: This restaurant, in the historic Hermitage Hotel, also has excellent food. 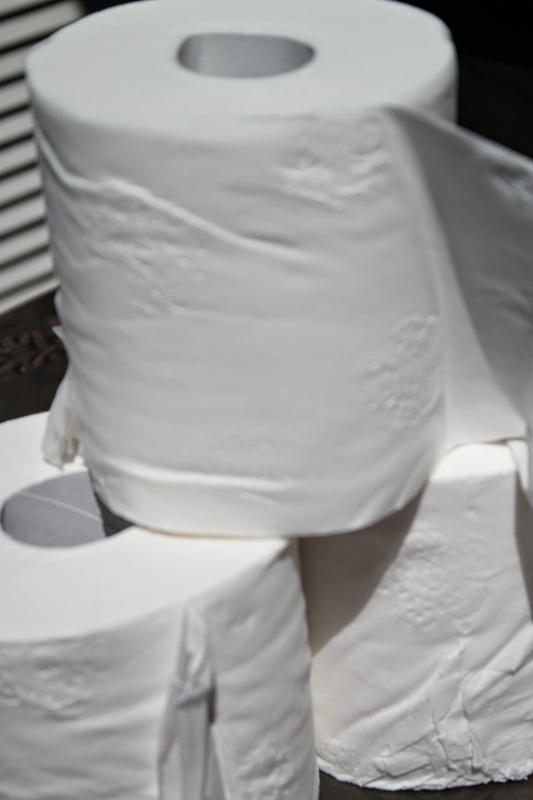 Don't leave without seeing the men's restroom, often on the best restrooms of America list. Afterwards, cross Memorial Plaza, the state legislature meeting rooms are underneath this open square, and visit the pre-Civil War state capitol and an Andrew Jackson statue identical to the one in Jackson Square in New Orleans..
Thistle Stop Cafe: This cafe serves fresh salads and sandwiches, but, also, this is a great place to eat because of the extraordinary mission of the cafe, to be a learning lab for women who are working to turn their lives around. This is another enterprise of the same group that developed the Thistle Farms cosmetics line. So many fun places, so much to do in Nashville. What's your favorite place to lunch? I asked about the iPhone 6. 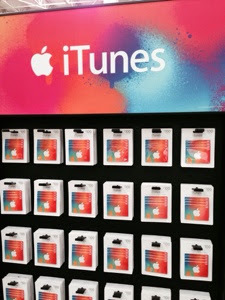 They said they may be taking names once the launch is announced, but expect to sell out fast. 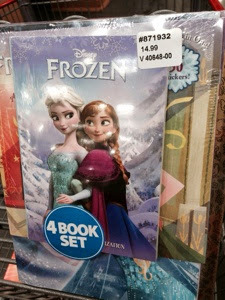 This 4 book Frozen set is a big hit with my 5-year-old granddaughters. 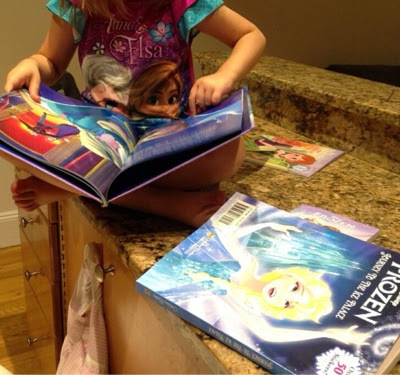 The chapter book was the first non-picture story book for one of the girls. 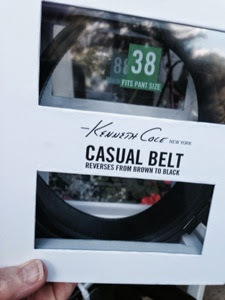 With the less than $15 price tag, I was able to send the set by USPS Media Mail to Brooklyn for less than it would have cost to send the set from Amazon. My Nashville Costco has changed the sliced medium cheddar Tillamook Cheese to sliced sharp cheddar Adams Reserve. We liked the Tillamook Cheese, a staple here. But the Adams Reserve is growing on me. I like a sharp cheddar taste better, but liked the Tillamook because it was Costco's only real cheddar that came in slices. My impression is that Jacques prefers medium cheddar, but, so far, he hasn't complained about the Adams Reserve. Tillamook was packaged in 2.5 lb. packages; Adams Reserve is in 2 lb. packs. I paid $6.99 for 2 pounds of the Adams Reserve, making it a slightly better buy than Tillamook. 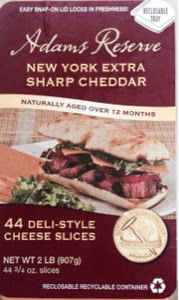 The Adams Reserve does not come with paper separating the slices, but the slices don't seem to stick together as much as the Tillamook. I bought this Outdoor Blanket from Costco to go to Bluebird on the Mountain. At Bluebird on the Mountain, tickets are by the car; the trick is to come early, get in line with your car, tailgate, enter Dyer Observatory when the gate opens, and let out the Scout. Someone has to be the Scout, getting out of the car and claiming a site as close to the front and center of the stage as possible. Meanwhile, the others, loaded up with chairs, food, bug spray, and tables, trek to whatever spot the Scout claims. Our Scout Saturday was Bonnie, who did a great job, aided by this Outdoor Blanket from Costco. At Bluebird on the Mountain, one must maintain civilities and claim the exactly right amount of space. 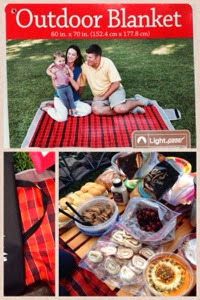 The Outdoor Blanket does this by not being over-large, 60" by 70", a size that made the perfect "floor" for our picnic table. Eight of us fit around it easily. 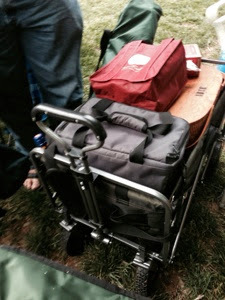 In contrast to most picnic blankets, the Outdoor Blanket has a water resistant side, and a carrying strap. The fabric is stiff and seems like an effective bug barrier. 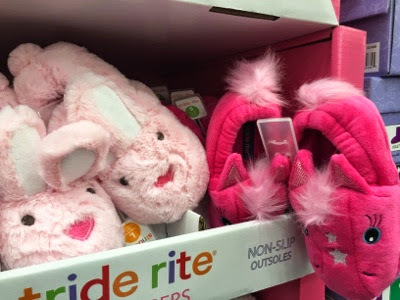 Unfortunately, if it gets really cold, this would not be a good blanket for snuggling. Not a problem right now in Nashville. 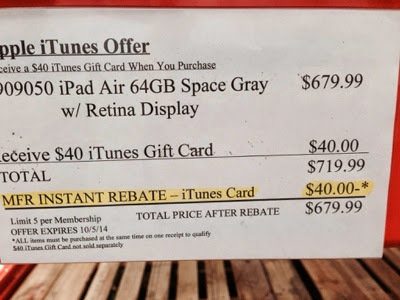 I paid just under $20.00 at my Nashville Costco. The composite photo is made up of two of friend Jan's photos, but I don't know the nice family at the top, I added that photo from the Outdoor Blanket tag. I can't mention Bluebird on the Mountain without praising this great series of songwriter concerts. This month we heard Tom Douglas, Gretchen Peters and Steve Seskin, and they were wonderful. 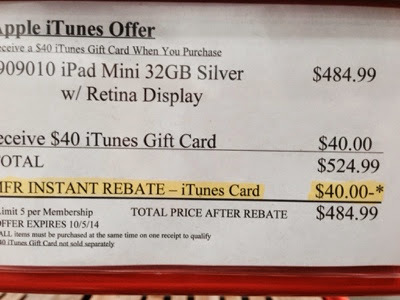 I wonder if Apple and Costco have other plans in the works. 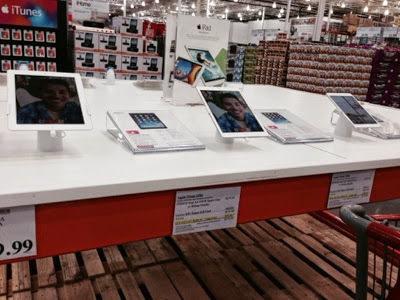 Wouldn't it be great if Costco sells the new iphone 6?! Or the watch that's supposed to be coming out at the same time, maybe September. I'm hoping these gift cards are the beginning of a great renewed partnership. 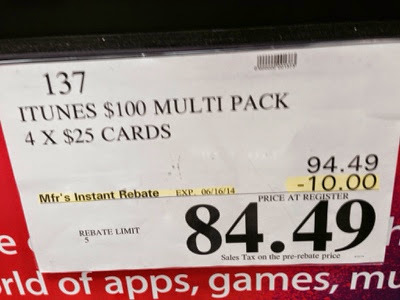 The discounted price is great. My Costco has organic Italian Pedon Farro (spelt) on sale for $4.97 for 3 pounds. Spelt is an old variety of wheat, a very old variety, according to the packaging, eaten by the Roman Legion. 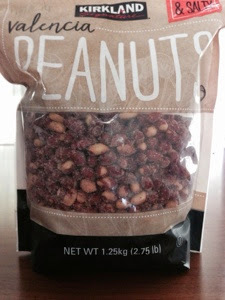 It tastes kind of healthy to me, very similar to brown rice. 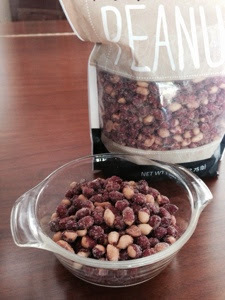 Flavor is slightly nutty but mostly bland; I would use it in place of rice, pasta or potatoes. 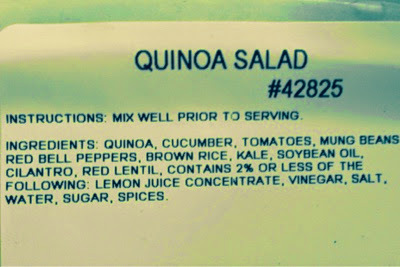 I'm sure it's much better for you than white rice, white bread or white potatoes. Use plenty of water, bring to a boil, add farro, reduce heat and cook for 25-30 minutes. The directions would horrify most American cookbook writers, who are urged to sound like chemists in their precision, but I loved them! I found that 5 cups of water to 2 cups of spelt simmered for 30 minutes worked fine, but made LOTS. One cup of uncooked farro would have been plenty for two people. I added salt, pepper and butter and served it as a side dish with salmon and broccoli. The recipe on the packaging suggests a bacon, marinara, Parmesan cheese, and black olive dish; I'm going to try that next. 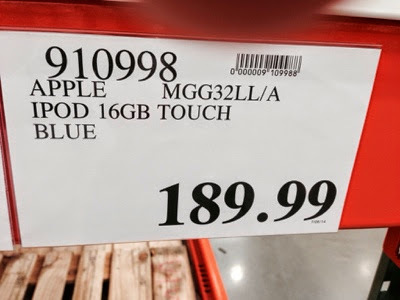 Check your Costco soon, it's not going to last at this price. 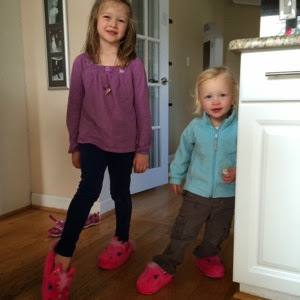 In about 15 years, I think there will be a strong feminine audience for Broadway. My Brooklyn granddaughter's entire pre-school class sang Frozen's Let It Be, with emotion, at pre-school graduation. 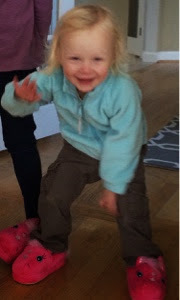 My other granddaughter, in Detroit, loves the story and its music, too. My doctor here in Nashville told me his grandson got in an altercation with a little girl playing at his house. After separating them, he asked the little girl what was wrong. "Sam wasn't listening to THE song," she said. My Costco seems to be sold out of the movie. I'm going to get a copy myself as soon as it's back. 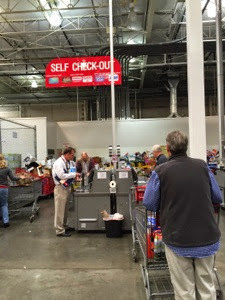 Costco Looks Good. Again. This Time in the New York Times. 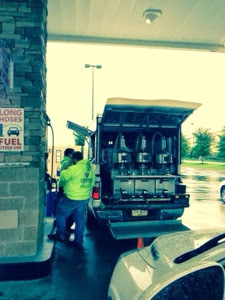 Another shout out, this one in the New York Times about what Costco gets right and other companies get wrong! We ended up exchanging the Mignone dresses because the sparkles came off the first time they were washed. Costco, of course, had no problem taking the dresses back. 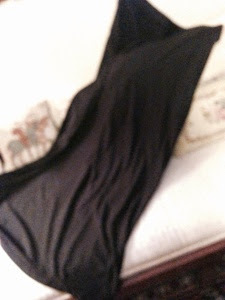 However, five year old granddaughter loved the Mignone dresses so much, at her urging, we bought another sparkle dress and are treating it as the finest lingerie - delicate, gentle hand washing only! A few years ago, maybe ten, Bob and I and a group of friends attended Ravinia in the Chicago suburbs. At Ravinia, an outdoor concert venue, I think we heard the Chicago Symphony, but I know we saw sophisticated city folk with elegant picnics sitting under the stars listening to music. The music was lovely, but what impressed me most was the elegant picnics, at least one of which included a candelabra, white tablecloth, and candles. With the memory of Ravinia, I had a reference to approach Bluebird on the Mountain, a local Nashville tradition. Bluebird on the Mountain combines the Bluebird Cafe and the Dyer Observatory of Vanderbilt University in a series of six open-air songwriter concerts. Picnics are the rule. I've been waiting for this for ten years. 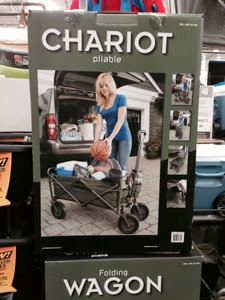 Along with the picnic, I packed a handful of Costco flameless candles and purchased, and this is what was INCREDIBLY SMART, if I do say so myself, a collapsable wagon purchased at Costco for $58. 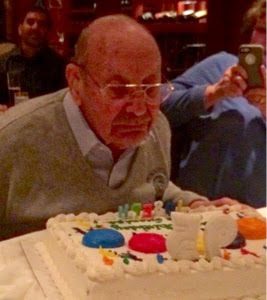 The candles were a nice touch, but the wagon was perfect for transporting wine, food, blankets, and chairs over the uneven terrain. I am SURE the sight of us pulling the wagon sold many other wagons. One man even said , "I've been thinking about getting one of those, and now I'm going to." I'll be bringing my candles and wagon!